Viacom’s MTV Studios and Bunim/Murray Productions are co-producing three seasons of Real World specifically for Facebook Watch. The Real World’s last season aired on TV between 2016 and 2017. The Facebook Watch seasons will be created specifically for the US, Mexico, and Thailand. Weekly 30-minute episodes of the show will drop on the platform in spring and include voting capabilities allowing users to pick the cast. MTV wants to introduce a new generation of viewers to its long-running reality hit, “The Real World,” so it’s creating three seasons of the show exclusively for Facebook Watch. Viacom’s MTV Studios is co-producing the series with Bunim/Murray Productions (BMP) for Facebook Watch. It will roll out in the spring of 2019. There are three seasons of the show that are localised to the US, Mexico, and Thailand markets, and each weekly episode will be 30 minutes long. 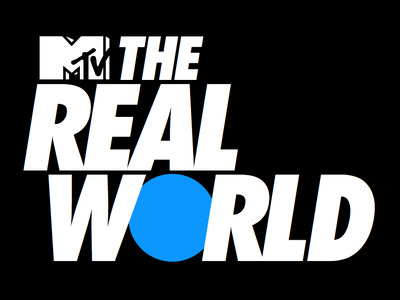 “The Real World” is one of MTV’s longest-running and most successful series, spanning 32 seasons beginning in 1992. Under the deal with Facebook Watch, the new seasons will not air on TV. The last season of the show to air on TV was “Real World Seattle: Bad Blood” that ran between 2016 and 2017. The new seasons will solely be distributed on Facebook Watch and include interactive and social tools. One is voting, which lets viewers vote on one housemate to appear on the show before it airs, according to Viacom. Viacom also plans to use several of Facebook’s features like Facebook Live, Watch Party, and Premieres, and will post daily scenes of the show. “By partnering with Facebook Watch and BMP, we have the opportunity to impact culture and create a new genre of television all over again, while engaging the next generation of content consumers around the world,” MTV president Chris McCarthy said in a statement. Facebook is on a mission to turn its Watch tab into a standalone video hub for long-form video, and has courted a number of publishers to crank out ‘shows’ for the platform. Over the past year, the Watch section has expanded to include both shows and shorter video clips from creators. According to Facebook, 50 million people in the US go to the Watch tab once a month to watch at least one minute of video. Most recently, Facebook opened up reserved buying for pre-roll and mid-roll ads that appear in premium Watch videos, which is similar to how TV ad buyers buy shows. The idea is that advertisers will have more assurance that their ads will only appear alongside premium video content using Nielsen’s Target Rating Points (or TRPs). “It’s intended to be the most engaging, highest-quality content that we have and we look at a number of signals when we think about inclusion for publishers and creators – popularity, how many people are watching intentionally, how loyal are they,” Kate Orseth, Facebook’s media monetisation product marketing director, told Business Insider recently.